Why do business management teams express surprise when they learn high value intangible assets have been stolen…it’s mid-October 2018 and the world is learning of another incident, presumably (Chinese) state-sponsored, wherein there was either an attempted or actual theft of IP (intellectual property) from a U.S. company. 1. Mr. Xu is reported to be employed by the China’s Ministry of State Security, which, not insignificantly, is China’s primary spy agency. 2. as reported, Mr. Xu’s case may be tried in open (federal) court in the Southern District of Ohio (Cincinnati). 3. demonstrate China’s (and by extension, other economic – competitive advantage adversary’s) methods for acquiring U.S. company’s trade secrets and other forms of proprietary (classified) information. 4. embarrass Chinese government officials in terms of exposing their long-term strategies for misappropriating trade secrets a costly and shameful endeavor for China, as well as other global ‘players’. 5. demonstrate that the U.S. private sector and federal law enforcement have the capacity to identify and thwart both espionage and economic espionage by foreign entities coupled with the political will to prosecute same. Mr. Xu was actually-arrested in Belgium…no doubt, one reason is to demonstrate intent and mitigate the potential relevance of introducing ‘alternative facts’ to account for his actions. Xu was extradited to the U.S. to face charges of espionage. a current Chinese intelligence official who, its reported, will be prosecuted (tried) in an open U.S. court. To be sure, this incident is not merely a ‘one off’…or otherwise, an isolated incident. The U.S. has long been an ‘information rich environment’ which attracts determined global cadres of state sponsored, as well as, independent ‘legacy free’ intelligence collectors who endeavor (maneuver) to be in sufficient-proximity to targeted/designated (corporate, academic, military) intellectual and structural capital. An objective (premise) for countries to sponsor – engage in espionage activities…in this instance, and most others which I am familiar, is not, as they say, ‘rocket science’. It is to access, acquire, and disseminate valuable economic – competitive advantage information on behalf of, and to, receptive – designated end users. be leveraged as political-economic influence against the U.S. in current-future trade negotiations. For readers who may be unfamiliar with espionage...economic, or otherwise, I want to suggest U.S. companies should not anticipate changes will be forthcoming, so keep safeguarding your intangible assets! Michael D. Moberly October 12, 2018 kpstrat.com m.moberly@kpstrat.com ‘Business Intangible Asset Blog’ (since May 2006) https://kpstrat.com/blog where attention span, business realities, and solutions meet! 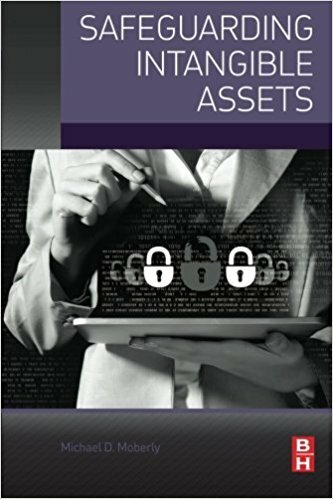 Categories: 'Safeguarding Intangible Assets', Economic Espionage, Enterprise risk management, Insider Theft of IP and Intangible Assets Tags: Chinese intelligence attempt to steal GE trade secrets., Protecting companies trade secrets., Safeguarding company's trade secrets., Theft of GE's trade secrets.